Flourless chocolate cookies are chewy and delicious, and studded with all the components of Rocky Road: toasted almonds, marshmallows, and chocolate chips! 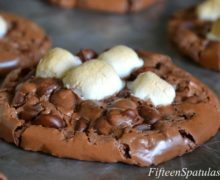 Ever since the idea of rocky road cookies popped into my head a month ago, I have been tweaking recipe after recipe so I could come up with a cookie extraordinary enough to be posted on my website. …because let me tell you, I don’t post ANYTHING on here that I don’t think is COMPLETELY scrapeworthy and delicious). 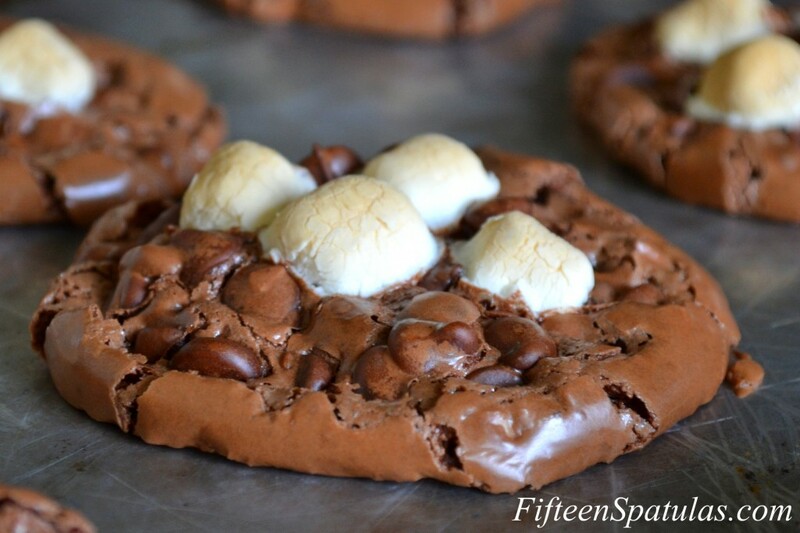 These cookies are complete ooey gooey chocolate goodness (I mean, flourless chocolate goods usually are). And the marshmallows on top are all crispy and golden brown on the edges and gooey in the middle. Just like if you roasted them on a fire! You might be wondering why we don’t just mix the marshmallows into the batter, and the reason is they sort of melt and disappear that way. 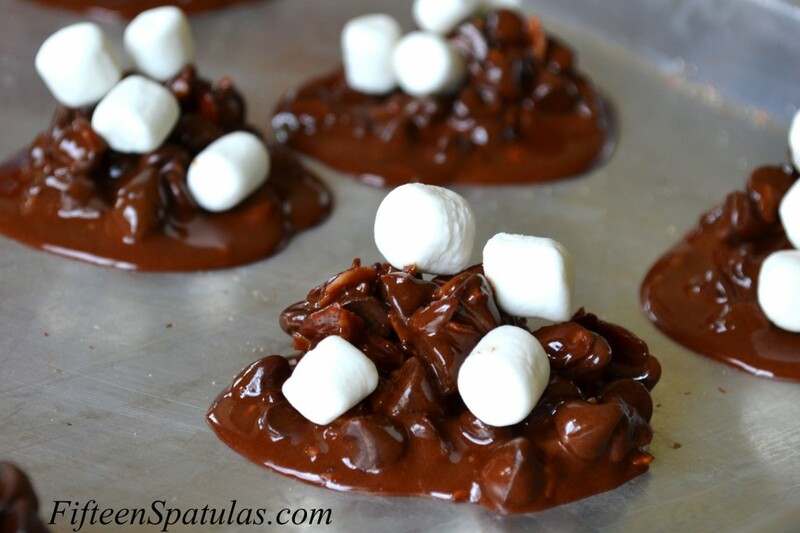 The golden brown crispy shelled marshmallows on top make this cookie truly incredible and rocky road-esque. 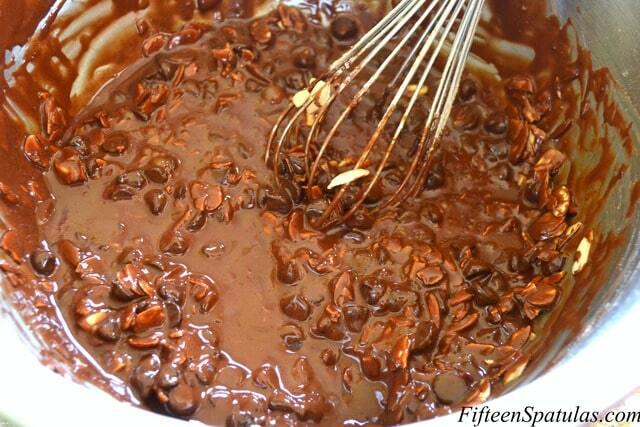 Bake for 12-13 minutes until the marshmallows are golden brown. Let the cookies sit on the paper for a few minutes to set, before moving them to a wire rack to cool. Enjoy!! !